Director General of the Guyana Civil Aviation Authority (GCAA), retired Lt. Col. Egbert Field yesterday said that the Roraima Airways pilot who died in a crash in July had completed 19 shuttle flights on the day of the fatal accident, which company Chief Executive Officer Captain Gerry Gouveia is refuting. 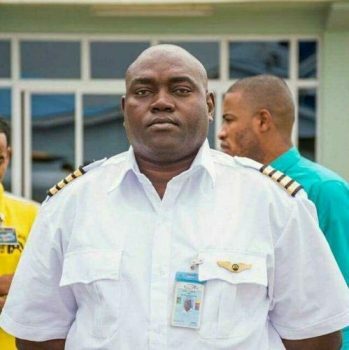 At a press conference yesterday, Field said that Captain Collin Martin, who was killed in the July 25 accident, had carried out 19 shuttle flights within hours between Eteringbang and Ekereku in Region Seven. It was on his last shuttle flight that Martin’s plane had crashed while approaching the Eteringbang airstrip. Field explained that such a number of shuttle flights being flown by a single pilot in one day is an issue and raises concern about the monitoring and regulation of air shuttle operations, which are used to transport goods and fuel to the interior regions. However, in an invited comment, Gouveia said that Field’s statement was erroneous and that Martin had only done nine shuttle flights on the day of the accident, which was supported by the company’s logs. He explained that a shuttle, which is considered a journey to Ekereku and back to Eteringbang, takes approximately 24 minutes. Gouveia challenged the claims that were made by Field that the pilot might have worked more than the law provides for. “Pilots have a limit. They only fly eight hours a day in any one day,” he explained, while pointing out that when calculated, Martin would’ve only flown some five and half hours, less than the stipulated limit of eight hours. “We have satellites that track our planes. Every time it moves, we record it. Nineteen made it sound like a crazy number,” he said, while pointing out that he has since written a letter to Field asking him to review and clarify the number that was stated. Following recent accidents, including Martin’s fatal crash, shuttle flights to the interior regions were suspended. So far, Trans Guyana Airways has been granted permission shortly to resume their flights. With reference to the other operators, Field explained that they are still to submit their individual proposals since the submission that was made jointly under the umbrella of the National Air Transport Association was null and void. The suspension came on the heels of the accident on August 27, in which an Air Services Limited pilot died after the plane he was flying crashed into the jungle between Chi-Chi and Mahdia (Potaro-Siparuni). Captain Imran Khan, 41, was found by a search and rescue team which ventured into the area. In addition, on August 8 a single engine Cessna aircraft – bearing registration number 8R-GPR, crashed shortly after takeoff at the Eteringbang airstrip in Region Seven. The pilot suffered minor injuries.